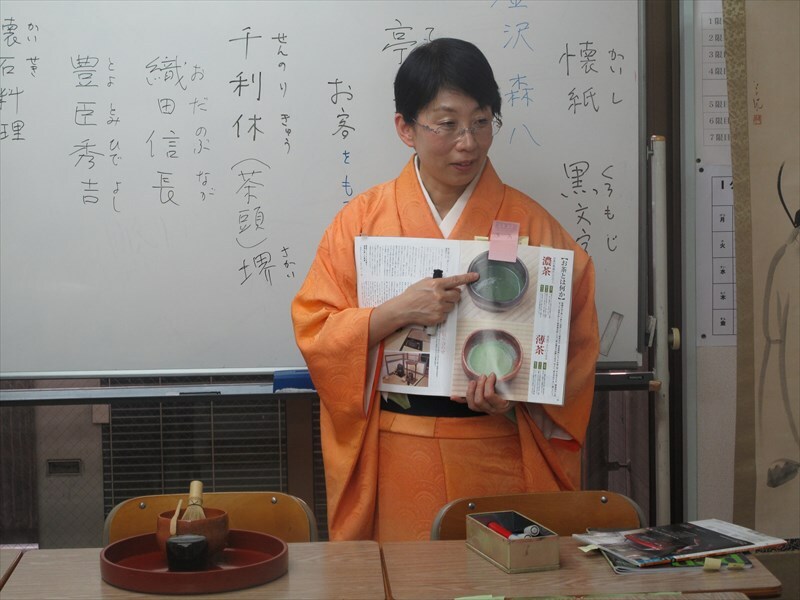 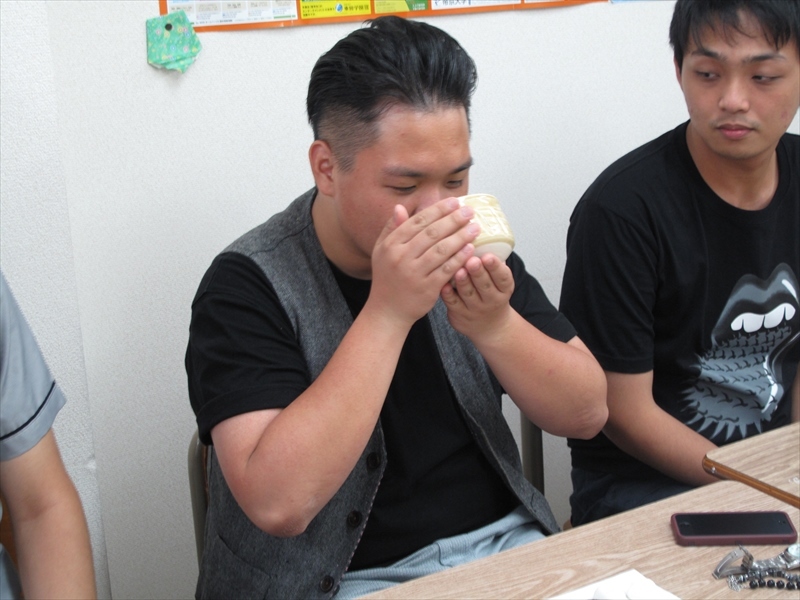 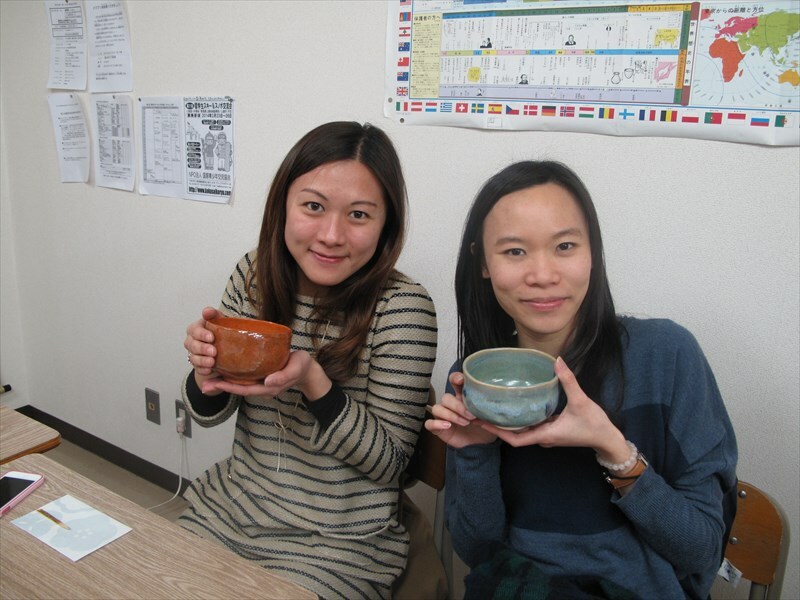 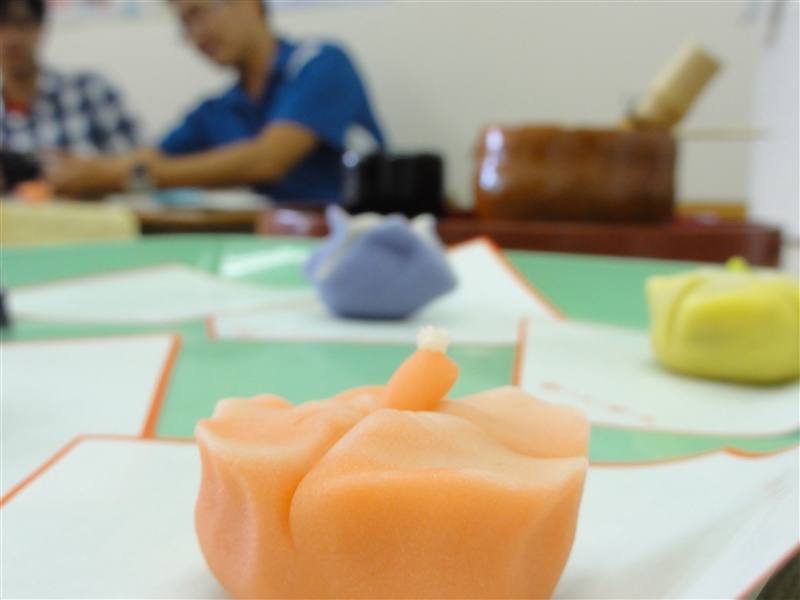 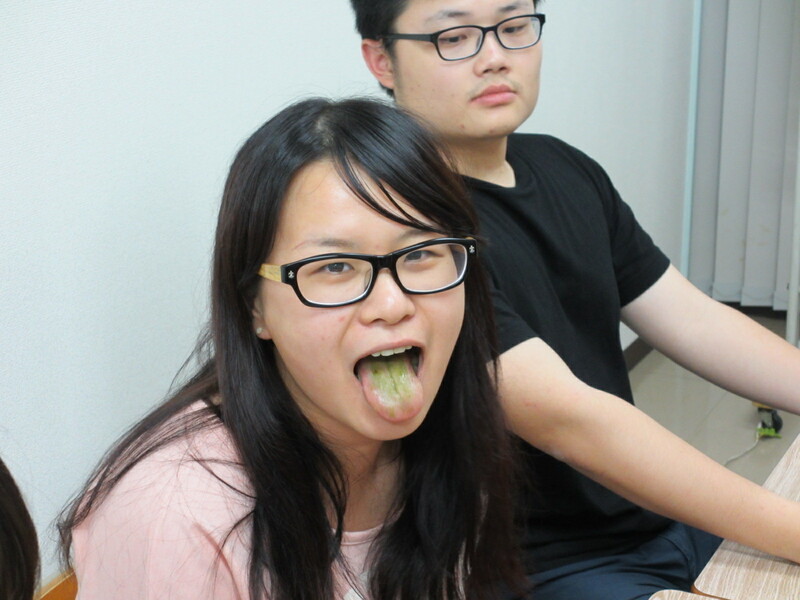 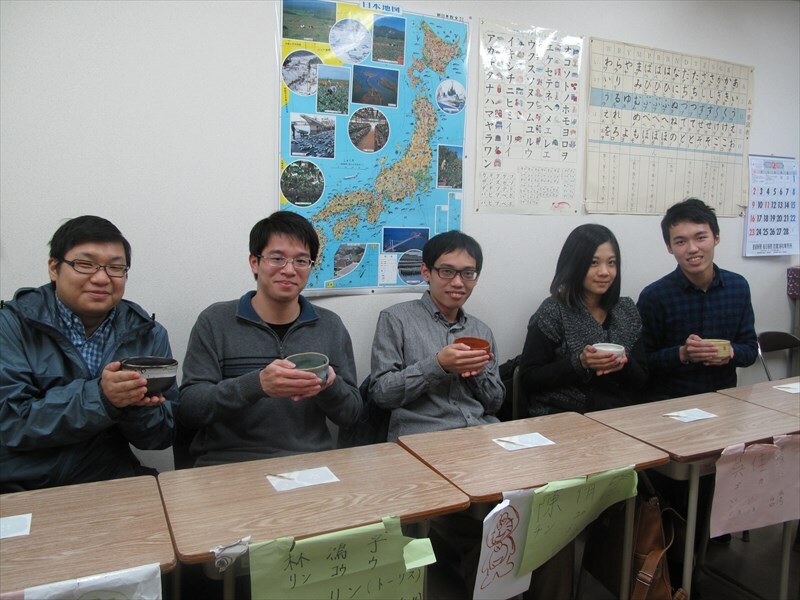 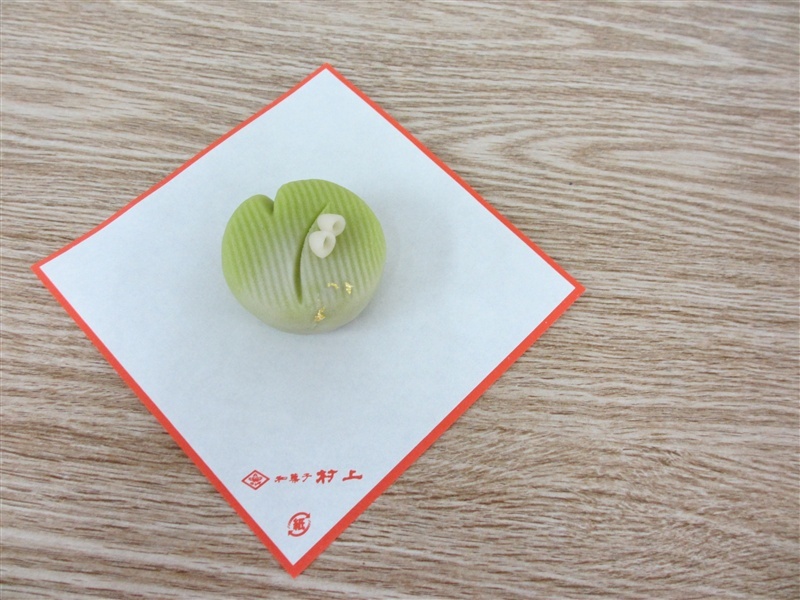 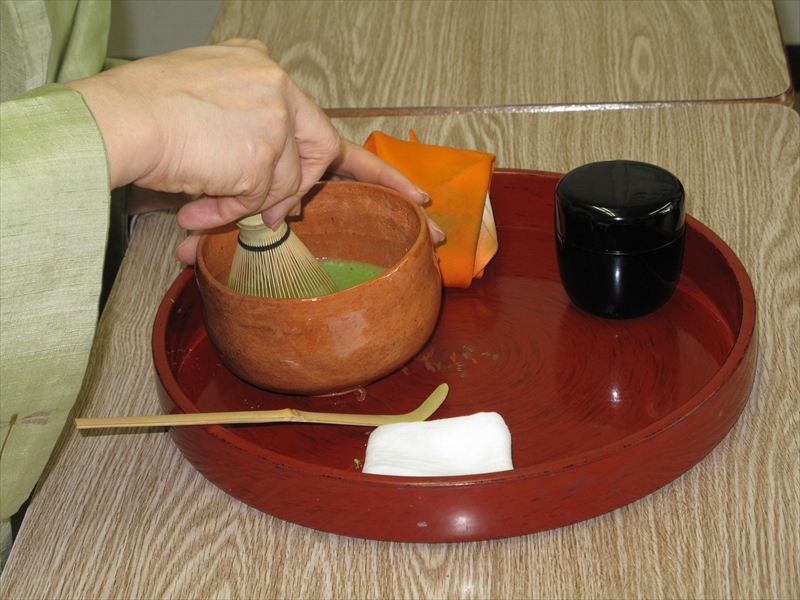 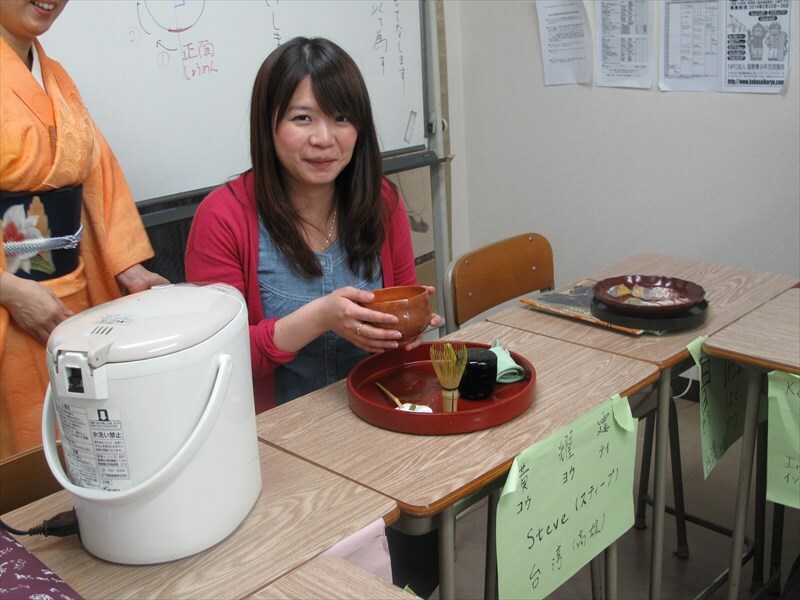 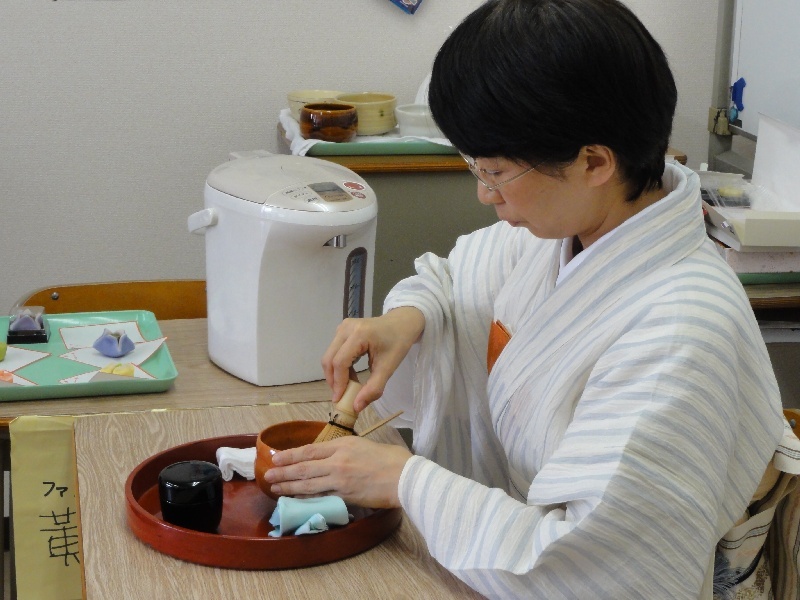 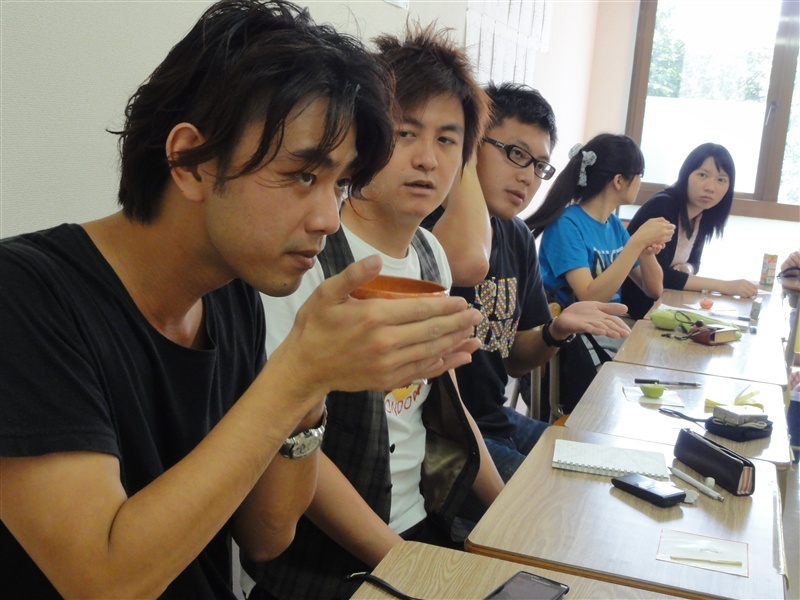 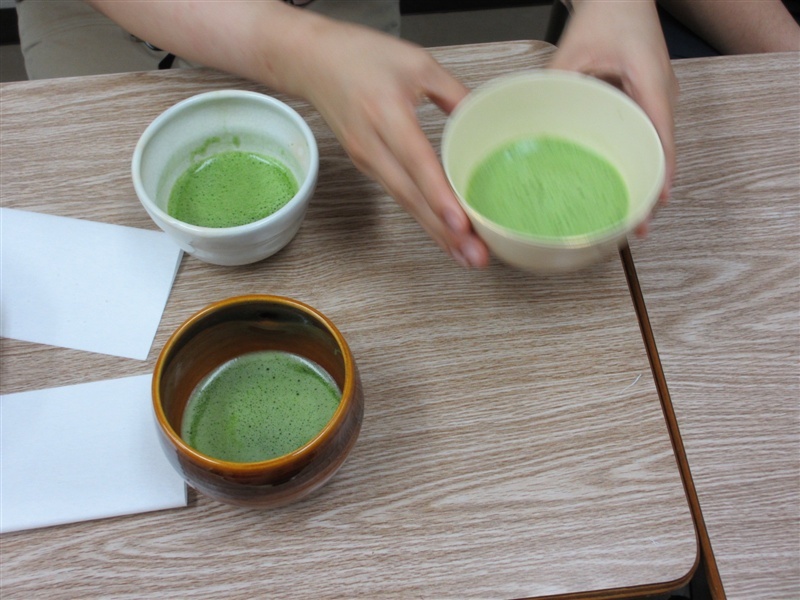 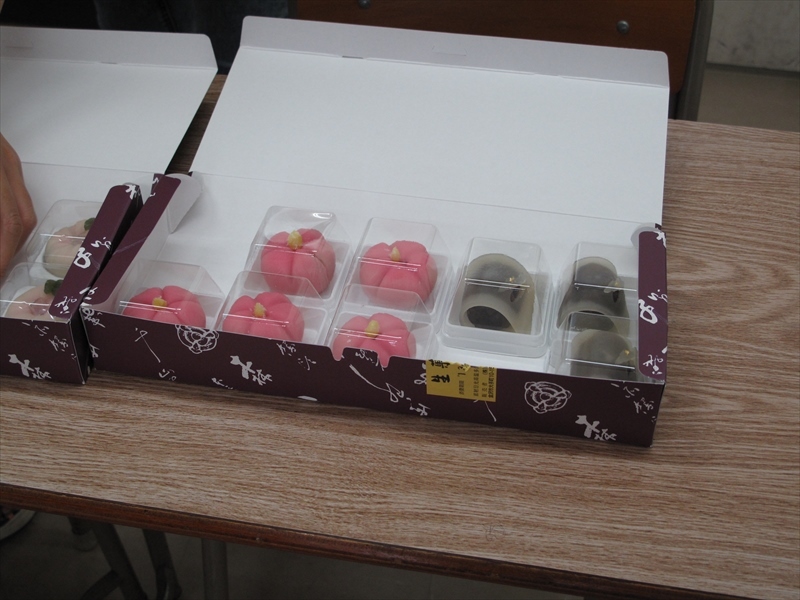 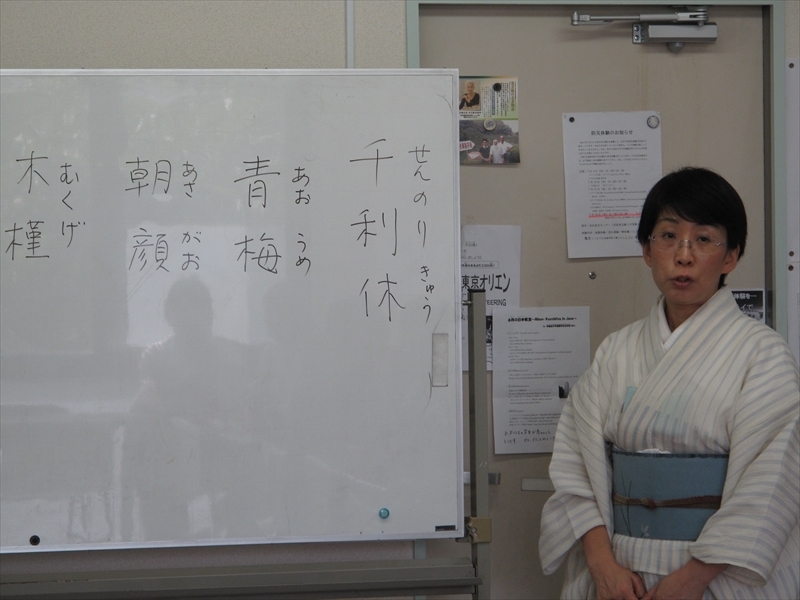 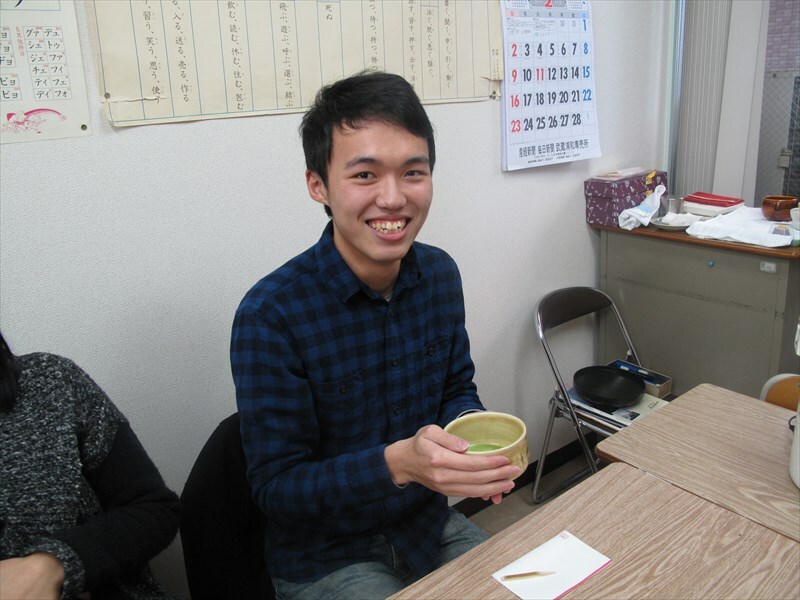 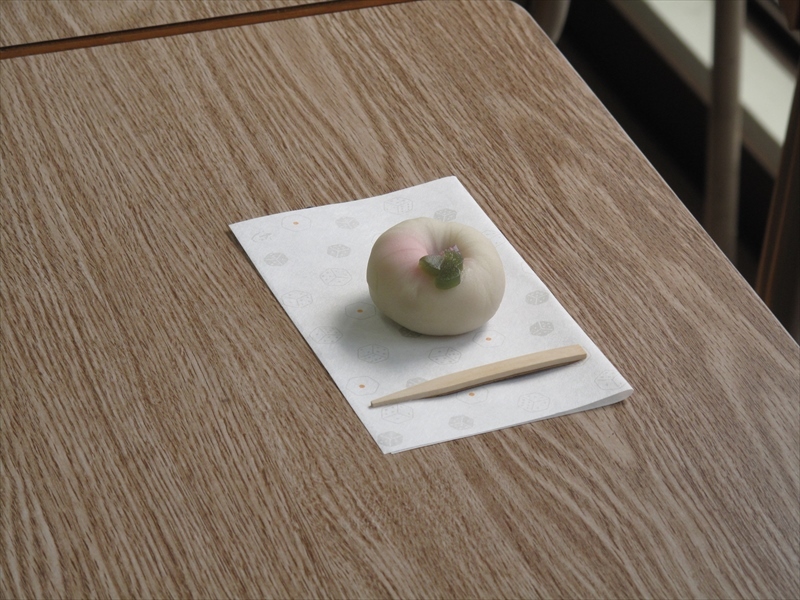 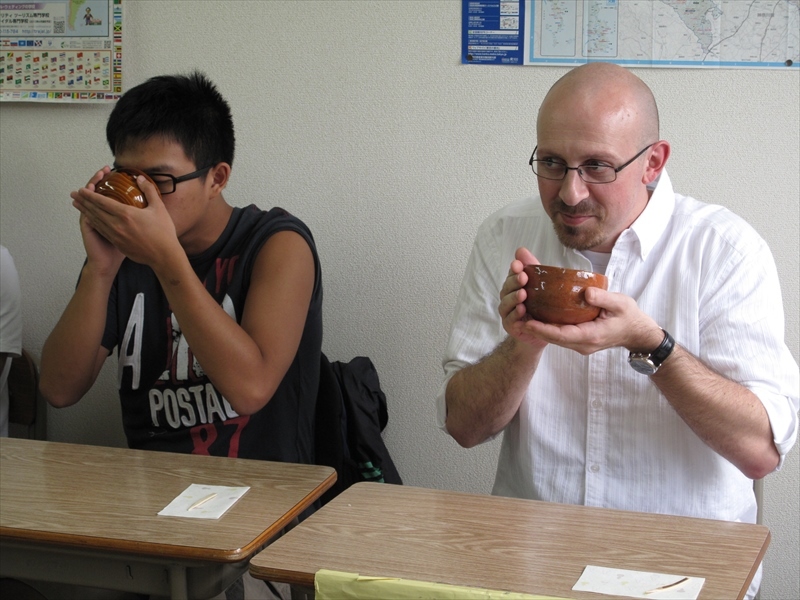 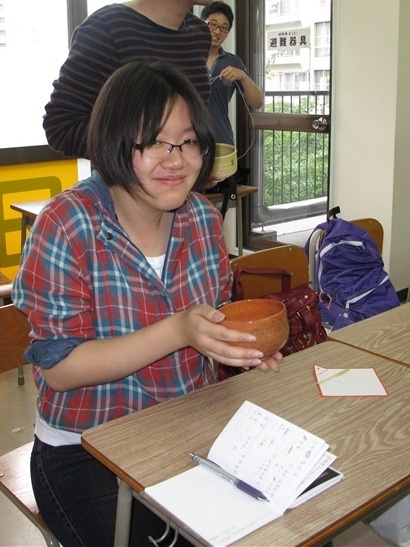 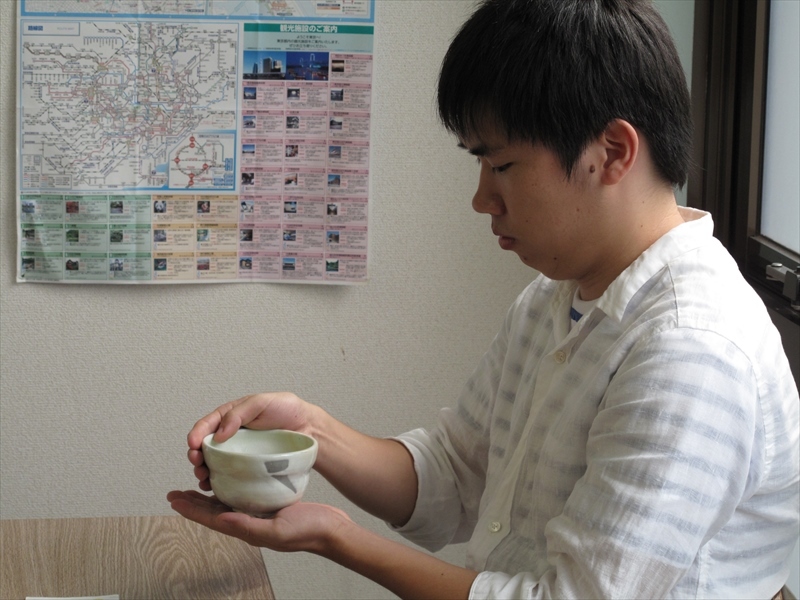 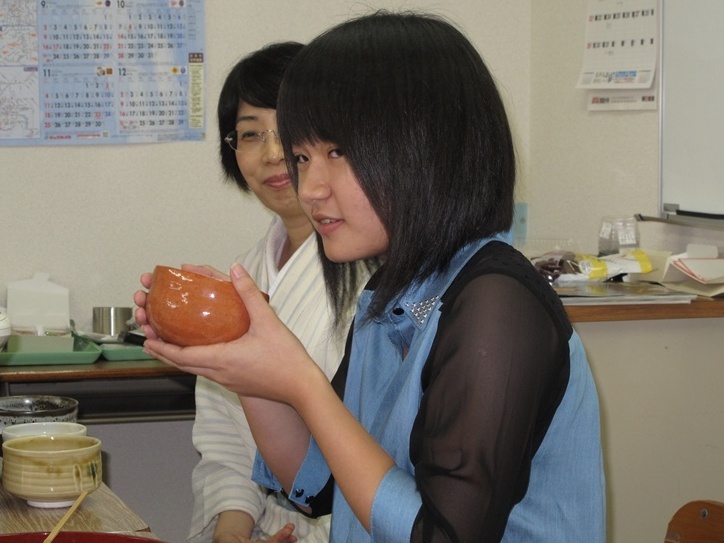 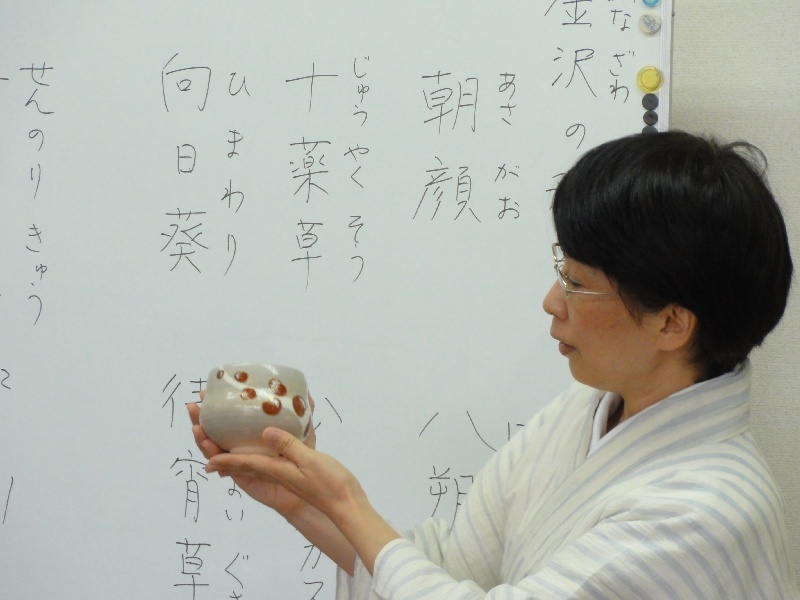 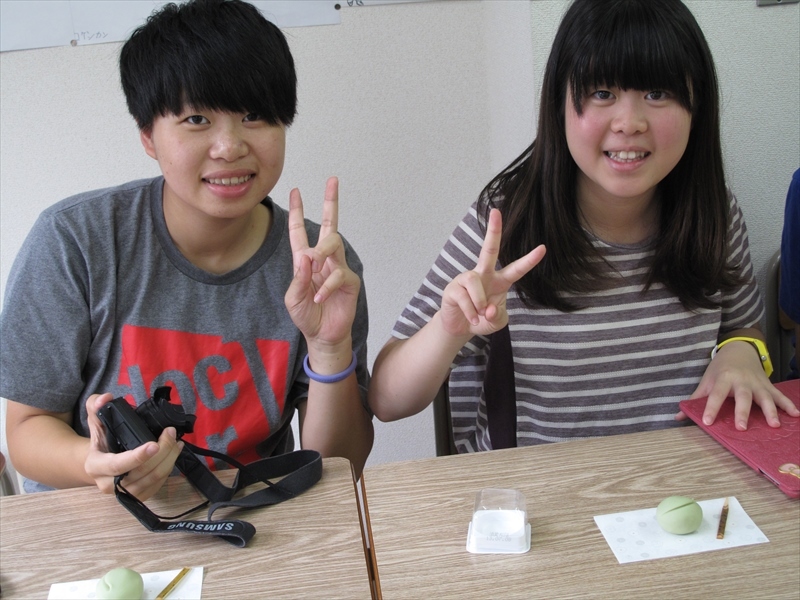 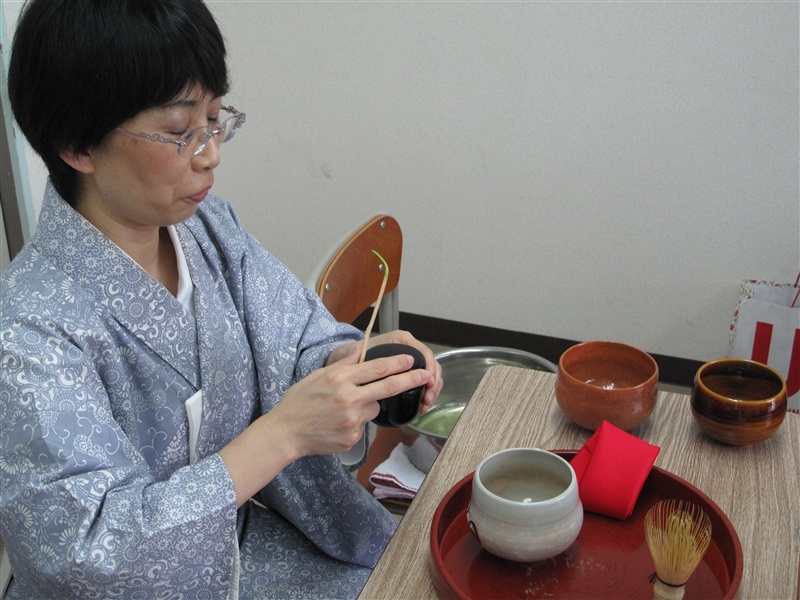 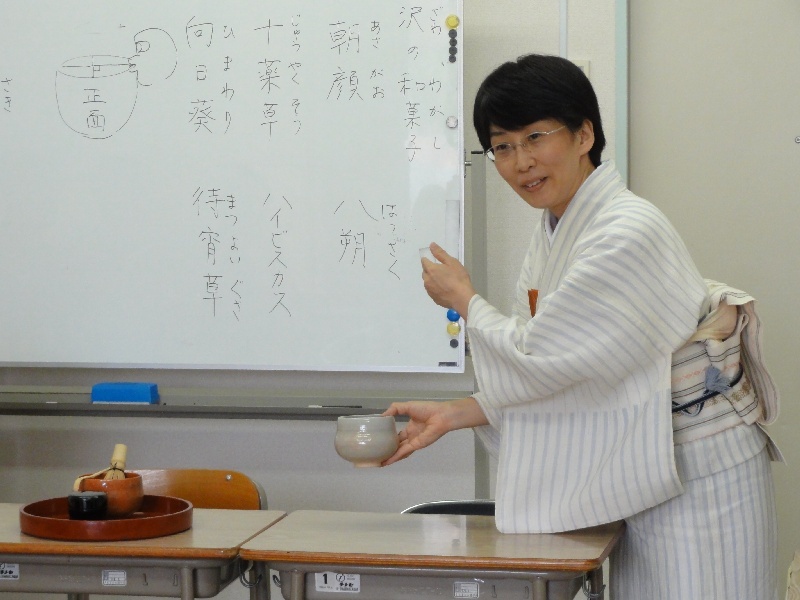 On the 27th of June, E Class held a tea ceremony (sadou), led by Tokui-sensei. 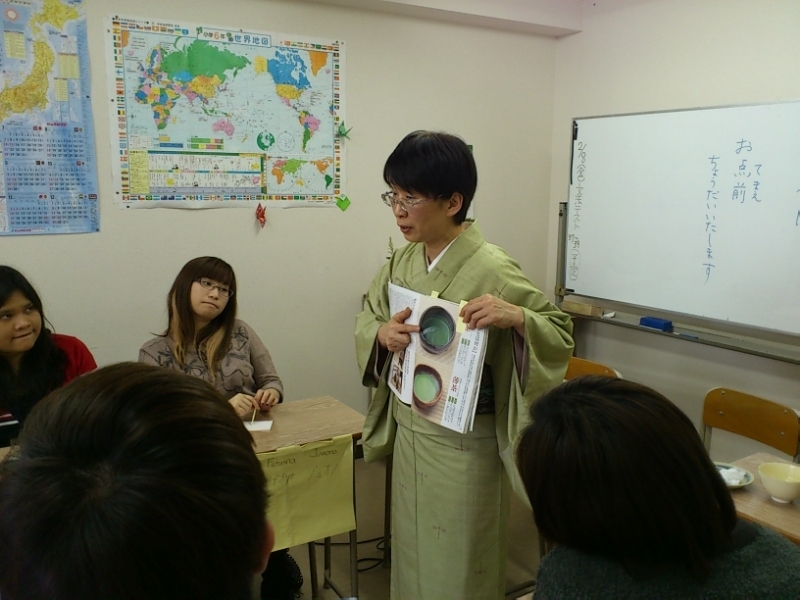 The host (teishu), Tokui-sensei was dressed in a complete kimono ready to show everybody the way of tea. 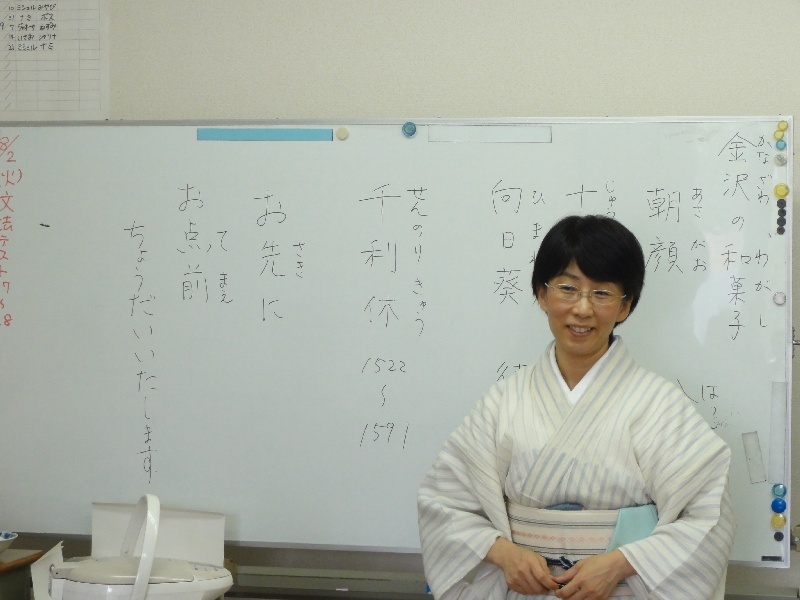 She was really beautiful! 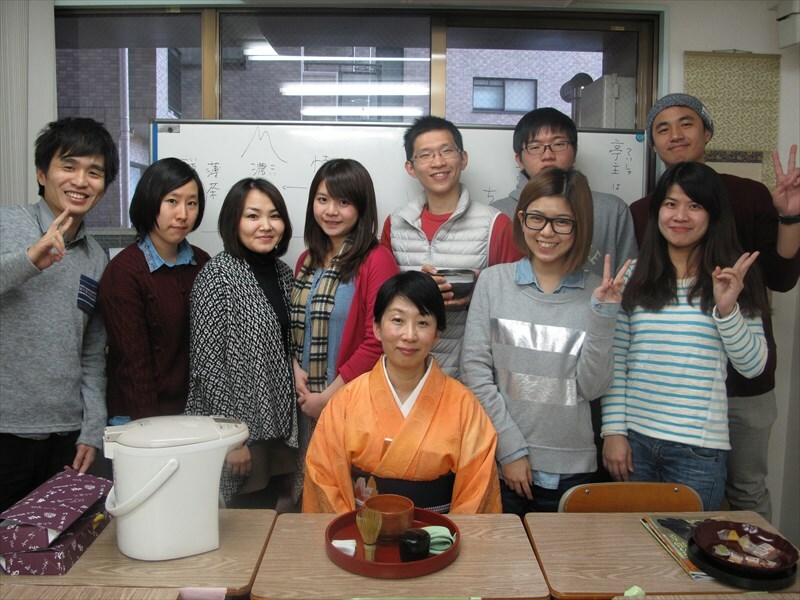 Before the ceremony though, the class learnt of the history behind the tea ceremony, the tools of the trade, and the proper etiquette during the ceremony. 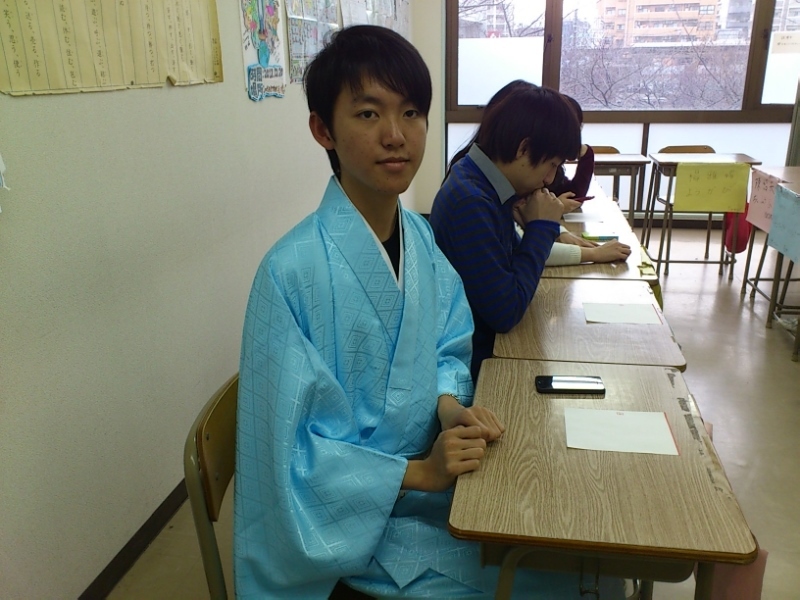 Then on to the ceremony!